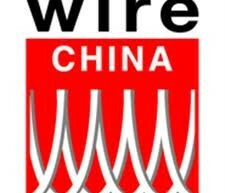 Windak Asia- Pacific, of Australia, will participate at Wire China 2012 and welcomes all visitors to their booth W3A41. Windak will participate at the Wire China together with Runwell company. Runwell is a producer of bunching and stranding lines. Windak and Runwell combines long-lasting cooperative relationship- during 6 years! for tension sensitive products, such as CAT 6 and fiber optic cables. that lead to cost savings and higher levels of efficiency for the customer. Windak AP look forward to your visit!